Not feeling all that creative, I picked up my camera and went searching for an interesting subject in my house to focus on today. I wanted to try and photograph something with patterns and texture, and perhaps something that would make you question its identity. Among those lucky few, were shards of ice that formed on some bananas I had placed in the freezer. I threw my video light on them to illuminate the ice and throw some highlights into the shot. 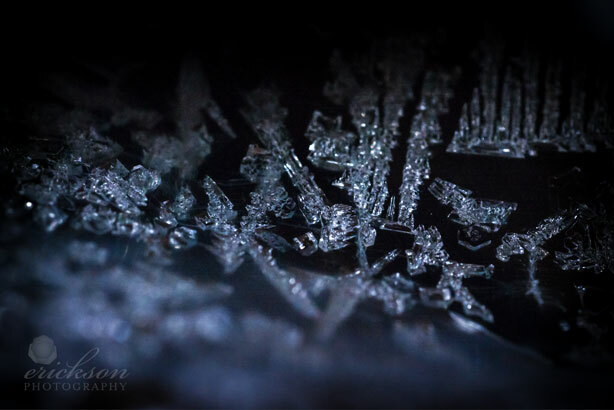 My 60mm macro worked well for this abstract subject and the end result makes me think of the cold winter that we are missing right now in sunny California.